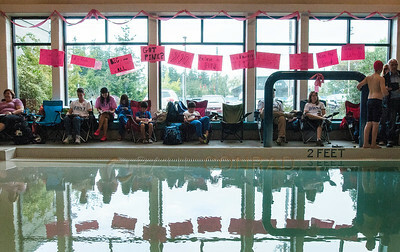 The Arne Hannah Aquatic Center is decorated with pink in honor of Breast Cancer Awareness Month during the 2014 October Challenge swimming competition sponsored by the Bellingham Bay Swim Team in Bellingham, Wash., on Saturday afternoon Oct. 11, 2014. 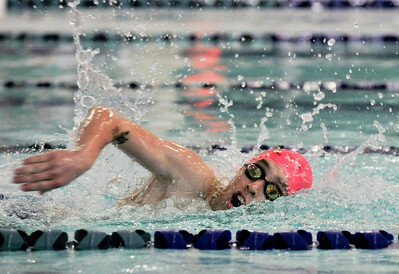 Over 300 swimmers up to age 18 from four swimming teams in the Pacific Northwest participated in the competition.The annual event is hosted by the Bellingham Bay Swim Team. 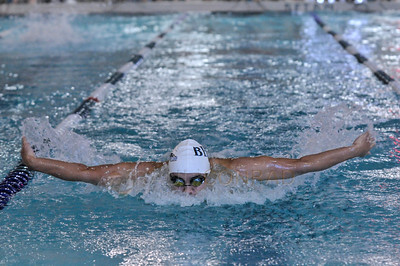 Cole Avery, 17, of Bellingham, Wash., competes in the 200 yard butterfly during the 2014 October Challenge swimming competition at Arne Hannah Aquatic Center in Bellingham on Saturday afternoon Oct. 11, 2014. Avery ended with a time of 1:57.16 winning the event. 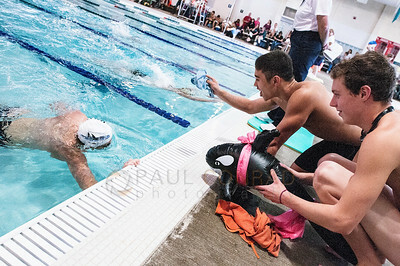 As thier teammate Rowan King, 15, approaches the edge, Cole Avery, 17, of Bellingham, left, and Kean Rouse, 16, of Ferndale, cheer him on as he competes in the 200 yard breaststroke during the 2014 October Challenge swimming competition at Arne Hannah Aquatic Center in Bellingham, Wash., on Saturday afternoon Oct. 11, 2014. 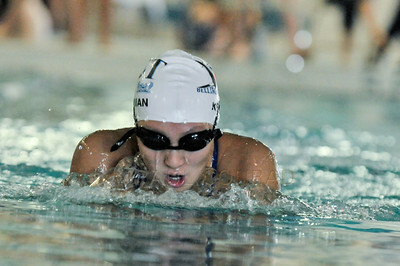 Rowan King, 15, of Bellingham, competes in the 200 yard breaststroke during the 2014 October Challenge swimming competition at Arne Hannah Aquatic Center in Bellingham, Wash., on Saturday afternoon Oct. 11, 2014. 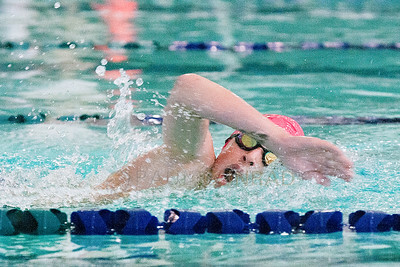 Over 300 swimmers up to age 18 from four swimming teams in the Pacific Northwest participated in the competition.The annual event is hosted by the Bellingham Bay Swim Team. Swimmers warm up during the 2014 October Challenge swimming competition at Arne Hannah Aquatic Center in Bellingham, Wash., on Saturday afternoon Oct. 11, 2014. 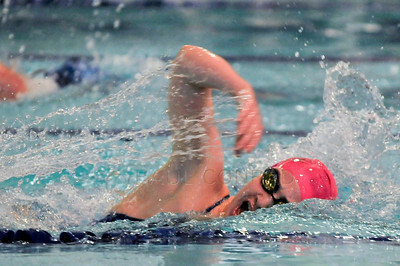 Over 300 swimmers up to age 18 from four swimming teams in the Pacific Northwest participated in the competition.The annual event is hosted by the Bellingham Bay Swim Team. 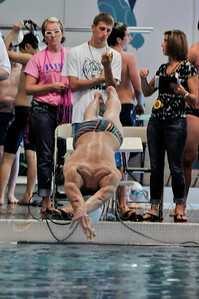 Rowan King, 15, of Bellingham, Wash., comes out of the water as he competes in the 200 yard breaststroke during the 2014 October Challenge swimming competition at Arne Hannah Aquatic Center in Bellingham, Wash., on Saturday afternoon Oct. 11, 2014. 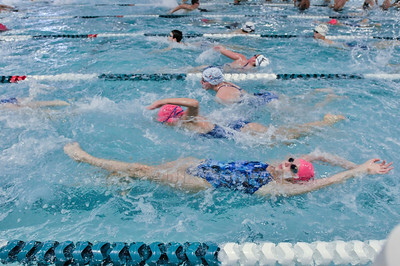 Over 300 swimmers up to age 18 from four swimming teams in the Pacific Northwest participated in the competition.The annual event is hosted by the Bellingham Bay Swim Team. Members of the Bellingham Bay Swim Team wear pink caps in honor of Breast Cancer Awareness Month as they warm up during the 2014 October Challenge swimming competition at Arne Hannah Aquatic Center in Bellingham, Wash., on Saturday afternoon Oct. 11, 2014. 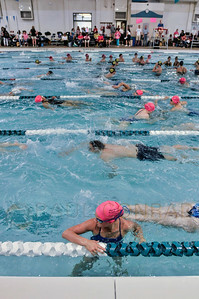 MaOver 300 swimmers up to age 18 from four swimming teams in the Pacific Northwest participated in the competition.The annual event is hosted by the Bellingham Bay Swim Team. 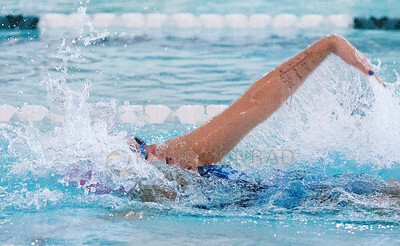 McKenzie Pham with Bellingham Bay Swim Team compets in the 200 yard backstroke during the 2014 October Challenge swimming competition at Arne Hannah Aquatic Center in Bellingham, Wash., on Saturday afternoon Oct. 11, 2014. Over 300 swimmers up to age 18 from four swimming teams in the Pacific Northwest participated in the competition.The annual event is hosted by the Bellingham Bay Swim Team. 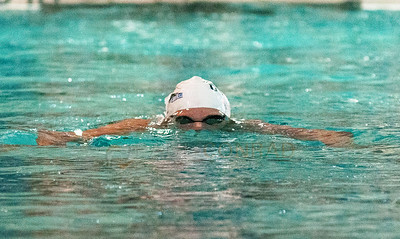 Bradley Rubio with the Bellingham Bay Swim Team competes in the 200 yard freestyle during the 2014 October Challenge swimming competition at Arne Hannah Aquatic Center in Bellingham, Wash., on Saturday afternoon Oct. 11, 2014. 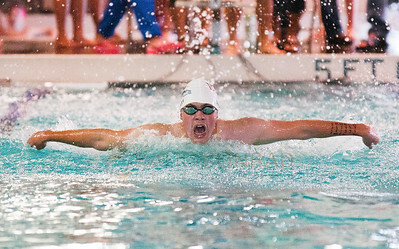 Over 300 swimmers up to age 18 from four swimming teams in the Pacific Northwest participated in the competition.The annual event is hosted by the Bellingham Bay Swim Team. 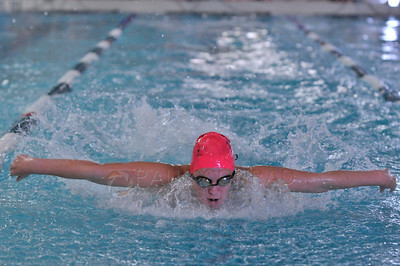 Wanling Kratzman with the Bellingham Bay Swin Team competes in the 200 yard breast stroke finals during the 2014 October Challenge swimming competition at Arne Hannah Aquatic Center in Bellingham, Wash., on Saturday afternoon Oct. 11, 2014. 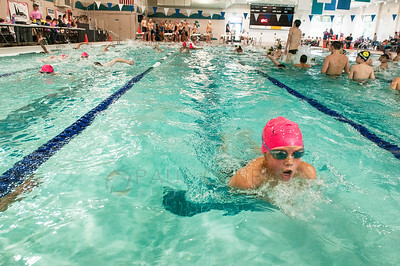 Over 300 swimmers up to age 18 from four swimming teams in the Pacific Northwest participated in the competition.The annual event is hosted by the Bellingham Bay Swim Team. Images from the 2014 October Challenge swimming competition at Arne Hannah Aquatic Center in Bellingham, Wash., on Saturday afternoon Oct. 11, 2014. 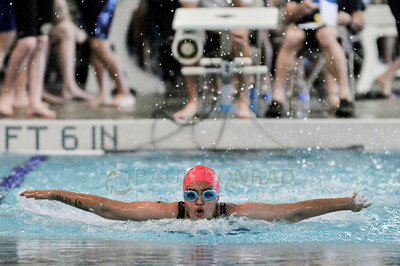 Over 300 swimmers up to age 18 from four swimming teams in the Pacific Northwest participated in the competition.The annual event is hosted by the Bellingham Bay Swim Team. 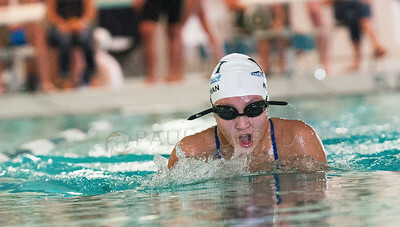 McKenzie Pham with the Bellingham Bay Swim Team competes in the 200 yard backstroke during the 2014 October Challenge swimming competition at Arne Hannah Aquatic Center in Bellingham, Wash., on Saturday afternoon Oct. 11, 2014. 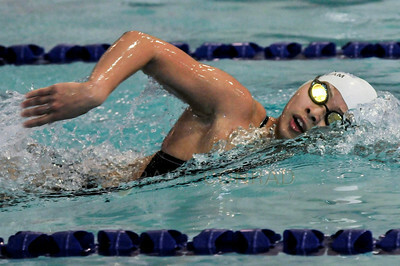 Over 300 swimmers up to age 18 from four swimming teams in the Pacific Northwest participated in the competition.The annual event is hosted by the Bellingham Bay Swim Team. 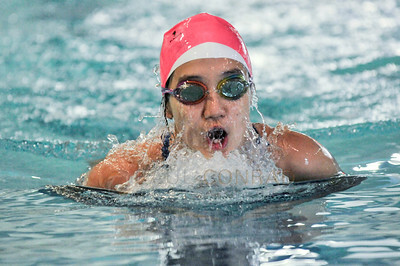 Kim Grace with BBST Images from the 2014 October Challenge swimming competition at Arne Hannah Aquatic Center in Bellingham, Wash., on Saturday afternoon Oct. 11, 2014. 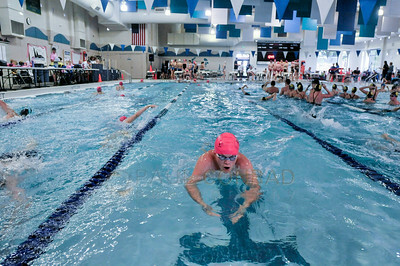 Over 300 swimmers up to age 18 from four swimming teams in the Pacific Northwest participated in the competition.The annual event is hosted by the Bellingham Bay Swim Team. 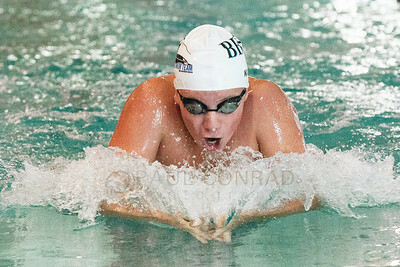 Bradley rubio BBST Images from the 2014 October Challenge swimming competition at Arne Hannah Aquatic Center in Bellingham, Wash., on Saturday afternoon Oct. 11, 2014. Over 300 swimmers up to age 18 from four swimming teams in the Pacific Northwest participated in the competition.The annual event is hosted by the Bellingham Bay Swim Team. Kyrie Fairbairn BBST Images from the 2014 October Challenge swimming competition at Arne Hannah Aquatic Center in Bellingham, Wash., on Saturday afternoon Oct. 11, 2014. Over 300 swimmers up to age 18 from four swimming teams in the Pacific Northwest participated in the competition.The annual event is hosted by the Bellingham Bay Swim Team. Wanling Kratzman BBST Images from the 2014 October Challenge swimming competition at Arne Hannah Aquatic Center in Bellingham, Wash., on Saturday afternoon Oct. 11, 2014. Over 300 swimmers up to age 18 from four swimming teams in the Pacific Northwest participated in the competition.The annual event is hosted by the Bellingham Bay Swim Team. Sydney Wong BBST Images from the 2014 October Challenge swimming competition at Arne Hannah Aquatic Center in Bellingham, Wash., on Saturday afternoon Oct. 11, 2014. 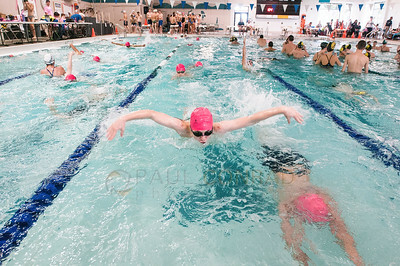 Over 300 swimmers up to age 18 from four swimming teams in the Pacific Northwest participated in the competition.The annual event is hosted by the Bellingham Bay Swim Team.